The Purix green air conditioner is a stand-alone product applying a modular design. 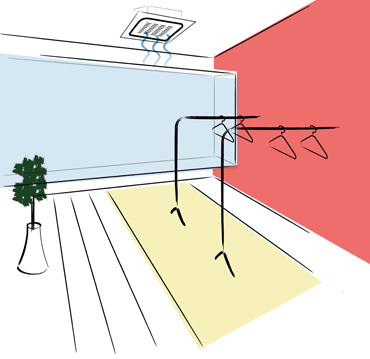 The flexible design accommodates a variety of indoor cooling devices for matching interior design and building architectural needs in existing buildings, or as part of any new construction. With a nominal cooling capacity of 2.5kW, Purix addresses the market for small applications suitable for most consumers, small offices, meeting rooms and hotels. To accommodate building designs solar panels may be integrated on the roof surface, mounted on rooftops or on the ground. The Purix green air conditioner may be used as a stand alone mono- or multi split air condition system or may be used in combination with other air condition systems based on chilled water. Offering functionality similar to conventional air condition products, the Purix solar air conditioner provides a cooling and heating function which assists you in using the full potential of the solar energy. 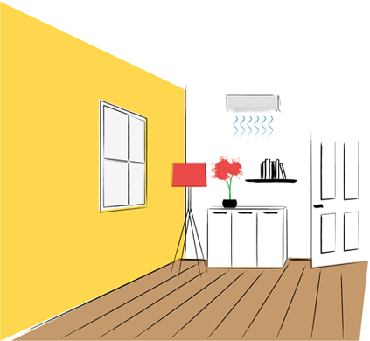 Most traditional air conditioners apply a mono or multi-split product design, often with wall mounted indoor cooling devices containing industrial refrigerants with high global warming potential. The high level fan coil unit is frequently installed in offices, shops and in the home. 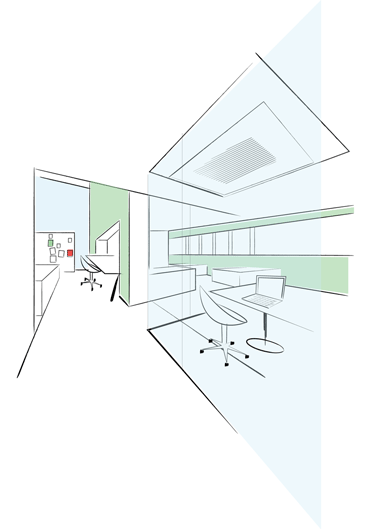 Noise levels are low making it ideal for smaller private offices, bedrooms and living areas. Ideal for use in offices, shops and restaurants providing even air distribution over small and large areas. 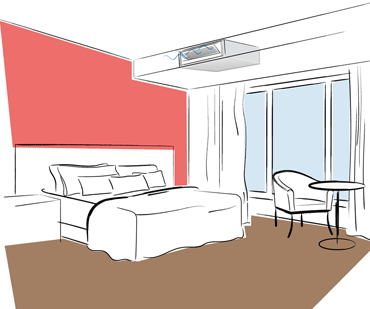 Frequently utilized to air condition hotel bedrooms, restaurants, residential or any application where aesthetics is important. Panels offer a high level of comfort due to low air velocity noiseless.  May be used for cooling and heating and low air velocity. 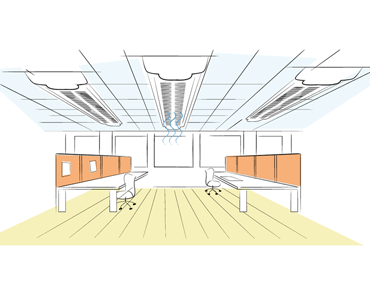 Beams are suspended or integrated in the ceiling and often used in office environments. Chilled beams offer a good level of comfort due to low noise levels and can be applied for cooling and heating. Purix offers a range of mounting kits for accommodating the installation of solar panels in various positions, adapted to existing architecture or integration in new building designs. 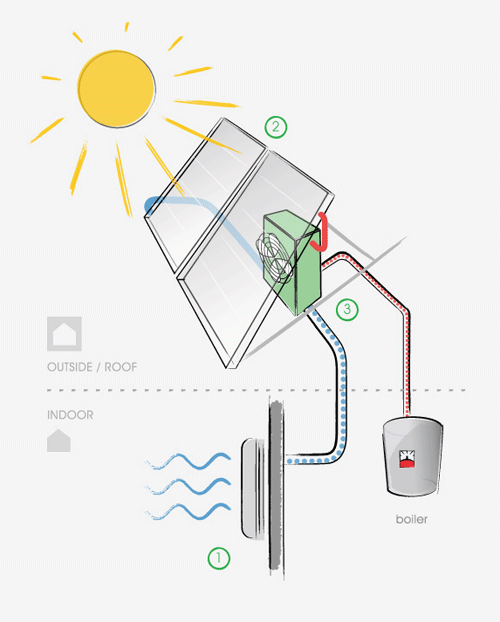 The Purix chiller, which converts solar heating into chilled water, is discretely positioned below the solar panels. It has a minimal environmental impact as it is cooled by air and does not require any water. For operation without solar radiation, the Purix chiller has been designed for integration with central heating systems. This feature supports full operation during the evening, at night, as well as warm and cloudy days. The patented product design of Purix is a crossover between mature technologies. Though solar cooling hardly classifies as a recent invention, the challenge in the past has been to design and manufacture products that would offer functionality and capacity at costs competitive to conventional products. As opposed to conventional air conditioners, the Purix solar air conditioner does not include an energy consuming compressor unit for generating cooling. Instead, the cooling cycle is based on thermal heating supplied from the sun or other low carbon energy sources.